Seafood restaurants are not all that common except in some coastal areas. This section is a guide to not just dedicated seafood eating places, but to restaurants where you get a good choice of fish on the menu. Something a bit beyond the scampi and fries or battered cod and chips or fish goujons. Finding a good place to eat out is a difficult job these days - so much competition means that price is often an issue when it comes to competing for customers and the things that seem to suffer are choice and quality. So many seafood restaurants I visit do the same tired old stuff - mostly from the same suppliers and it's straight out of the freezer. 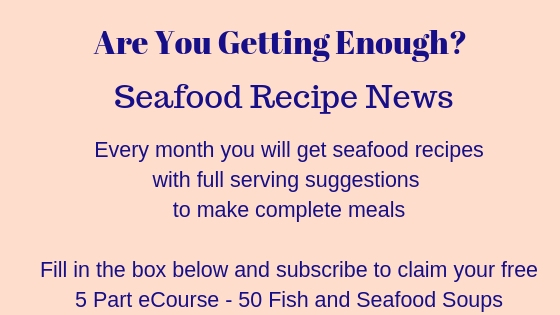 When it comes to seafood, the choices are limited and predictable - defrosted prawns (shrimp) in a seafood sauce and salad or on a jacket (baked) potato. Scampi and fries, battered cod and chips, plaice goujons. Some restaurants will offer grilled or poached salmon which is slightly more interesting or tuna steak. Rarely have I found somewhere that offers a really good choice of fish and it was a discovery in June 2009 which prompted me to start writing this section on eating out which I have been planning for ages. It didn't seem worth it before - I have not found any seafood restaurants that made me want to write about them, but this discovery has at least given me a start. If you have a favorite yourself or have comments to make on individual places, then please use the contact box at the bottom of the page. So - my first entry is Yew Tree Public House at Sandling, Maidstone, Kent - an fabulous all round menu which always has some interesting fish on the menu. 'Fish on the Green' in Bearsted, Maidstone, Kent, United Kingdom which is an excellent fish restaurant. 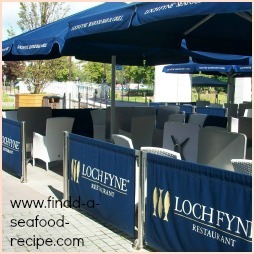 Loch Fyne Restaurants are a chain in the UK - my nearest one is at Bluewater Shopping Centre near Dartford, Kent.